For such a real estate rich city, Vancouverites have some fairly backwards attitudes, witnessed most recently in the vehement and emotional outbursts opposing high-density developments along transit lines. 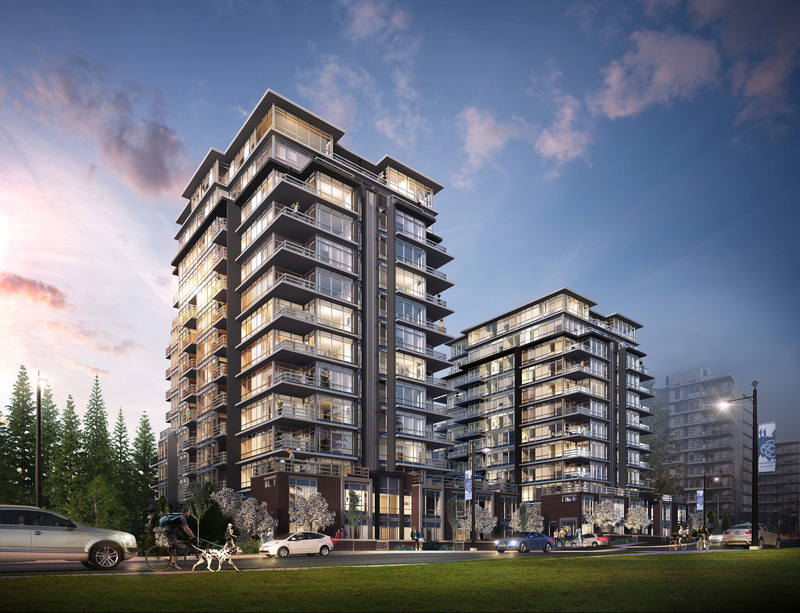 Citizen uprisings in Marpole and Grandview-Woodland have the city backtracking on its densification plans. But the fact is we are a quickly growing city. By the year 2036, our population will grow by another 30 per cent. If we want to have a more affordable, balanced and diverse community, we need densification. Period. The question is only: where do we densify? The answer: transit corridors and urban villages. So where do these places exist? Cambie Street, Kingsway and eventually, Broadway. Before you stop reading, hear me out. I am sympathetic to protecting single-family neighbourhoods. I live in one and love it. I have volunteered for many years for the Vancouver Heritage Foundation. I love historic neighbourhoods. The city needs to maintain them and should be given more teeth to preserve them --from Commercial Drive to Shaughnessy to Kitsilano. But our growing population needs to live somewhere. Put the density along the transit corridors that exist today. We're spending a lot of money to build expensive transit projects and we need the ridership to pay for it. Living along transit can reduce total household expenses dramatically and create more affordable living, with less need to own cars. Imagine walking to work and to your shopping. No need to mow your lawn. These are just a few reasons why high-density living is so successful downtown. With good planning, these benefits can be replicated along transit corridors. As UBC professor emeritus, Michael Goldberg, told the Vancouver Sun, higher density near transportation hubs has a positive affect on the city's affordability. When homes are well located to minimize transportation costs -- as they are in many expensive parts of Vancouver -- "we capitalize transportation savings into home prices." The city is hoping to transform the Cambie Corridor, for example, by building four to six-storey, mixed-use, retail -- residential projects around transit stations. That's a wise move, but I think they should be triple the size. Heck, why not 10 times the size? Why not -- if it's planned well? Opponents of some of the new, higher-density developments have told the media they believe the city is being "extreme" and "simplistic" and caving to developer demands by building high rises. But I'm a developer -- not involved in any of these projects and I can tell you that developers have little clout with the city and the city is extracting huge sums to the benefit of taxpayers for these projects. But this is not really about high rises. It's about appropriate density. What's wrong with a 20-storey tower? We need to think bigger and higher because in 20 years, we'll be standing outside the station on Cambie and looking at little four-storey buildings and asking why we didn't. Over the last decade, cities around the world have looked to Vancouver as a model for urban planning. But with growing opposition to high-density, mixed-use, urban developments, I wonder how long that will last. Building higher density real estate projects near rapid transit not only makes sense for financial, environmental, land use and community reasons and but it might also keep our city's reputation intact. Other cities across Canada are facing similar battles, but none as acute as Vancouver where land has simply run out. With increasing awareness of the high environmental and financial burden of maintaining urban sprawl and the suburban dream, many urban planners are looking to alternatives that make supporting infrastructure, like roads and utilities, affordable and where public transit is front and centre. This new urban model is practical and critically necessary. Turning shopping malls, for example, with their acres of parking, into mixed-use developments served by public transit will create vital new urban centres. Projects like Oakridge, Brentwood, Lougheed and Metrotown all deserve higher density. Decisions on these projects are being made today. I encourage you to be part of the conversation.